It’s official: UMBC is one of the best universities to work for in the nation, for the ninth year in a row. UMBC is one of a select set of universities across the country to be named to the Chronicle of Higher Education’s 2018 “Great Colleges to Work For” list. The university is also distinguished as an exceptional “honor roll” university for the eighth year in a row, excelling in nearly every measured category. Faculty and staff meet in the Chemistry Discovery Center at the summer 2017 UMBC Retreat. 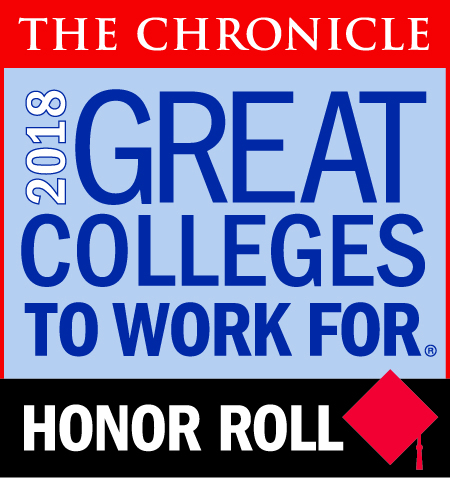 The Chronicle describes the “Great Colleges to Work For” survey as the “most comprehensive workplace study in higher education.” All accredited U.S. institutions with enrollment of at least 500 students were invited to participate, and 253 colleges and universities did so this year. 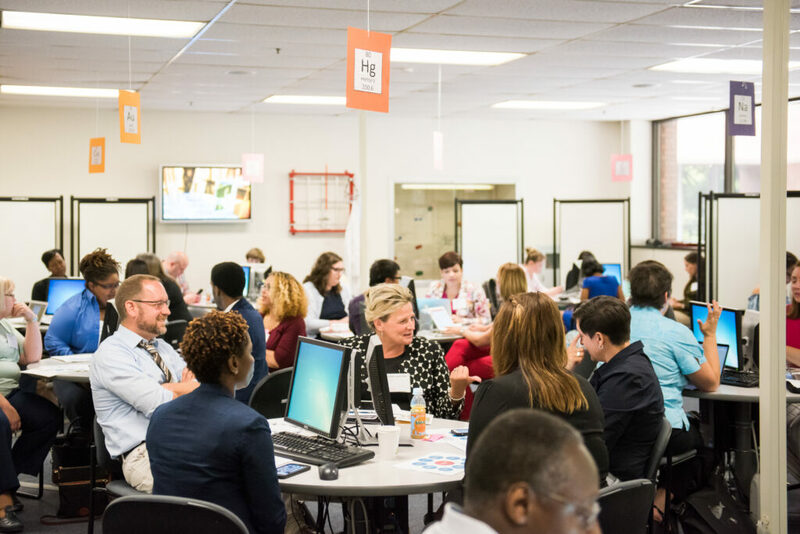 The 2018 findings are based on survey responses from more than 53,000 faculty, staff, and administrators. UMBC is the only research university in Maryland to be recognized as a Chronicle of Higher Education “Great College to Work For” this year. See more rankings coverage through UMBC News. Banner image: UMBC in spring 2018. All photos by Marlayna Demond ’11 for UMBC.